Our founder, CEO & Blockchain “Guru” gives the lowdown on blockchain and what it means for the future of marketing. Blockchain technology is a method of documenting digital assets. The term is used because information is stored in records, called ‘blocks’, which are linked in a ‘chain’ using cryptography. Each block contains a timestamp and data relating to a transaction, someone’s identity, an agreement between two parties or any number of other data types. By design, blockchain is resistant to modification of the data making it extremely safe. That’s because the blockchain isn’t stored in a single location, so there’s no centralised version of the information. It’s impossible for a hacker to corrupt it. Instead, the blockchain is hosted by a network of computers simultaneously, which means it cannot be disputed, removed or altered without the knowledge and the permission of the wider community. If you’re still confused, don’t worry. One of the biggest issues with blockchain is that its definition is so broad and complex, it’s hard to see what its real-world applications are. So what does blockchain mean for marketers? Blockchain technology has the potential to completely revolutionise marketing as we currently know it. And how will that happen? Let’s start with vAtoms. vAtoms are a digital representation of a real-world object that provides people with the right to own, share and redeem the items they acquire. They do not belong to any single platform, which means they can be linked to in an email, embedded in a digital banner, added to a billboard, virtually dropped on a map, or inserted into a video game. They live in a digital wallet uniquely associated with your phone number. 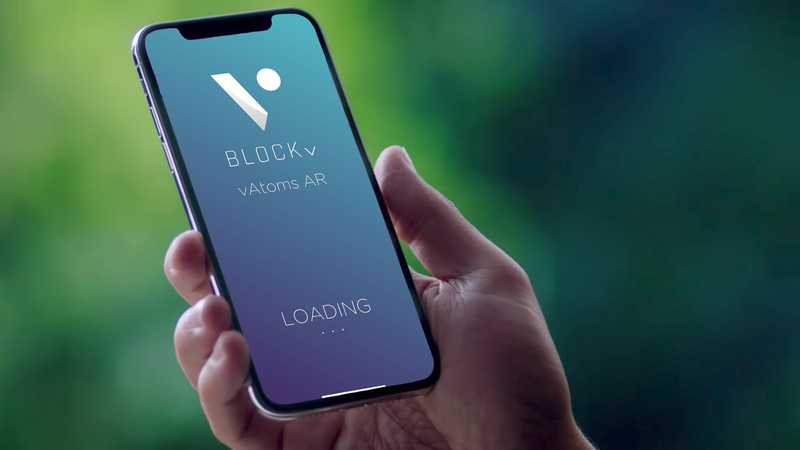 BLOCKv developed the blockchain platform for creating and distributing vAtoms – and you’ll hear about it a lot more below. Want to learn more? Check out the vAtom viewer on your phone now. Which brands are actually using blockchain effectively in their marketing? 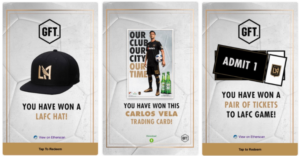 Participants were also automatically entered into a sweepstakes to meet Carlos Vela in person — with up to 45 participant winners in total. As part of the promotion, Heineken also offered a vAtom empty pint glass. When fans shared it, the glass would fill up 25%. After 4 shares, and the glass was full, users could redeem it for a real pint at participating retailers. Pure genius or what? Here’s another example from BlockV using the vATomic wallet that showcases the viral transfer, movement, and redemption of virtual Coca-Colas. This video also includes a clever campaign that uses a Twitter hashtag to add a moustache to a vAtom stamp of Peter Diamandis, founder of the X Prize (so make sure you watch until the end). There are a number of other clever uses of blockchain technology. Take a recent campaign from BlockV working with a major government institution in Mexico. The organisation had a database of 400,000 contacts but knew just the name and email addresses of each contact and wanted to collect more data. Instead of running a traditional survey, they were brave and tried something different. The organisation sent an email survey and for every question the contact answered, they were rewarded with an embedded vAtom that they could move from their browser into their vAtomic wallet. For example, when they answered the question: ‘Do you own your home?’ they were given a 3D model of a house. If they answered a question about owning a vehicle, they received a vAtom car. If participants answered all 20 questions, they received 20 vAtoms in their wallet – sort of like a virtual city-building set. The cost of running the campaign using this blockchain technology was also low, however the results were incredible. The government agency received over 200,000 survey responses, a 400% improvement in the response rate they’d typically get using a traditional survey format. For music lovers, DJ Sasha launched a blockchain marketing campaign, dropping 20 free vAtom tickets around Miami. Fans claimed them by heading to the vAtom viewer site and picking up the vAtoms through Augmented Reality. Those who had already purchased their tickets received an email with a link to their ticket vAtom passports with 4 different 3D objects. Each object represented a unique experience. The yellow sun gave users access to an exclusive Sasha track. The question mark led to Sasha’s ‘What Would You Do on Your Last Night on Earth?’ contest, (the best answer could win them a trip to Ibiza). And lastly, the chat vAtom gave fans the chance to chat with Sasha, as well as with the rest of the attendees. After the show, organisers uploaded a video of the event and sent memories in a photo vAtom as a keepsake for everyone who attended. The result was an ongoing connection from artist to fan/brand to consumer. The ticket became a digital collectible – what used to be a simple PDF ticket transformed into an interactive, multi-dimensional brand experience. One of the best parts of blockchain is the inability for the platform to be gamed or the assets to be replicated. Prizes live on the Ethereum blockchain which guarantees authenticity and ownership. Asset security has been a huge issue for marketers in the past who have had to deal with contests being taken over by fraudsters, which can seriously hurt a brand’s bottom line. It’s also especially useful when it comes to ticketing for events. 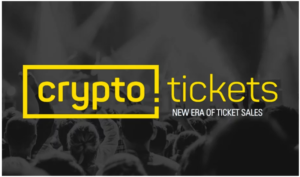 Many ticket sales companies are moving away from barcode and QR-code-based tickets and are investing in blockchain technology to help minimise fraud. If you’re a brand that wants to give away money-can’t-buy assets, you’ll want the reassurance that the prizes can’t be messed with. The security provided by the blockchain is a great way to do this. The biggest area for growth with blockchain technology when it comes to marketing is digital billboards.  Many of us suffer from ‘banner blindness’. We’re so bombarded with marketing messages that we start to mentally ignore them. This happens most often on websites with banner ads, but it’s also happening with giant digital billboards. 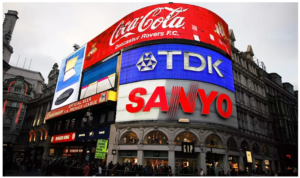 In recent years, brands have moved towards video billboards (which now dominate areas like Piccadilly Circus in London and Times Square in NYC), but we’ve also started to block these out as well. So how can we make these ad experiences more engaging and get consumers to pay attention? By offering them something of value. We are currently working on a few (top secret!) campaigns that are using blockchain technology to create revolutionary brand experiences. These new types of billboards are interactive: a consumer walks by, points their phone at a billboard and scans it to earn something of value e.g. a 3D chocolate bar that can be redeemed for a free real bar at a local retailer. This opportunity for interactivity is challenging traditional advertising, giving an incentive to the consumer to engage with an ad and get something they want in return. And embedding interactive elements into ads doesn’t stop at billboards. This can be done on everything from YouTube videos to video games and TV shows – where you scan a product as its shown to earn a redeemable vAtom discount code or freebie. Marketers know that traditional channels are not delivering the same return on investment that they used to. Advertising budgets are dropping as engagement rates amongst consumers fall. As marketers, we need to find a way to add value to the lives of consumers, rather than bombarding them with marketing messages that don’t incentivise engagement. Simply put, blockchain signals a paradigm shift for modern marketing. Adoption of the blockchain is at about 2 million users today, but we believe mass adoption is only 18 months away. So forward-thinking marketers would be smart to become early adopters of this revolutionary technology. Do you need help launching your first blockchain campaign? We’ve helped a number of clients create extraordinary brand experiences using this incredible technology. Get in touch to see how we can help you stay ahead of the curve or request for one of our masterclasses to learn how to create extraordinary experiences for you brand. This post originally appeared on the Because Creative Experiences website.